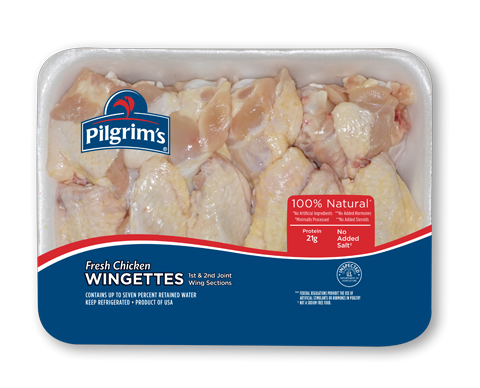 Pilgrim’s wingettes are a great foundation for a variety of meals, either exotic or mellow, dependent only on your cravings. For a walk on the exotic side, try sweet and sour chicken wingettes, sticky chicken with your favorite barbecue sauce or Chinese chicken coated with brown sugar and soy sauce. 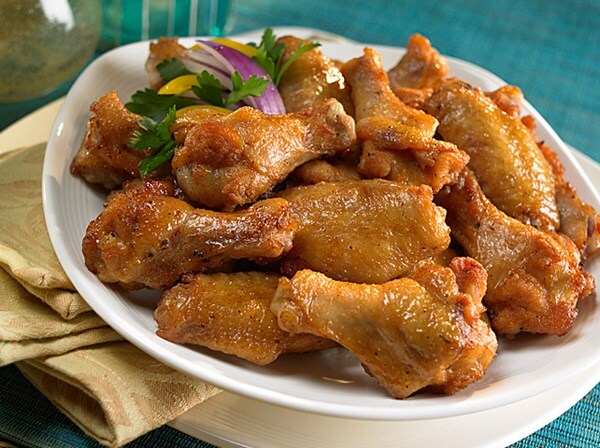 For a more mellow dish, simply flavor the wings with celery and onions. To cook, put olive oil in the bottom of a skillet, glaze with your favorite seasonings, sauces and veggies, turning until the chicken is tender and cooked through. The smell alone will draw your family to the kitchen asking “what’s for dinner?” Wingettes can also be marinated overnight with fennel, cinnamon, garlic, sherry, soy sauce, onions, pepper, or cloves and then baked.